Experience New Zealand’s stunning West Coast on this 6 day tour, including stunning mountain and coastal scenery throughout. Queenstown is New Zealand’s adventure capital. A huge range of activities, hikes, wineries, shopping and restaurants are available for you to explore. The stunning Kawarau Gorge will lead you via fruit orchards to the lakeside town of Wanaka. This pleasant lakeside community offers great hikes, including the Rob Roy Glacier Track. The journey over to the West Coast, takes you along what is arguably New Zealand’s most scenic route. Huge mountain valleys and thick rainforest lead you to Fox and Franz Josef glaciers. 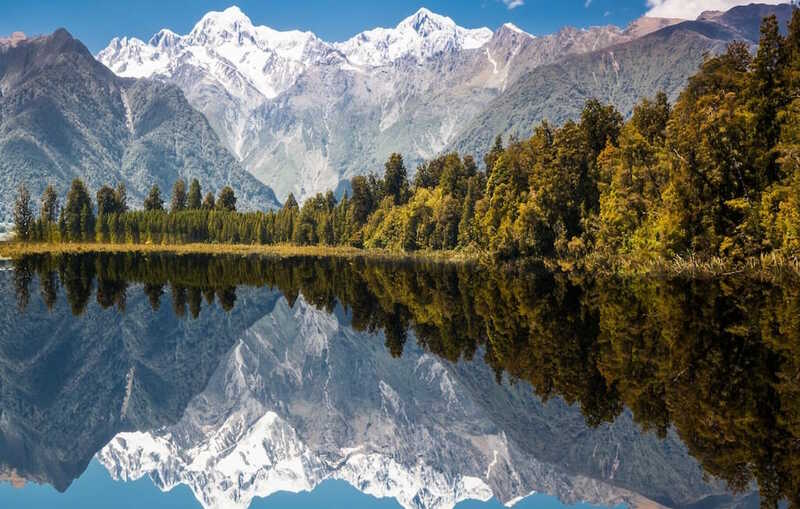 Enjoy a coffee and walk at the beautiful Lake Matheson, and take in exceptional views of Mt Cook. Make your way over Arthur’s Pass, stopping by Castle Rock, used as a film location in the Chronicles of Narnia, before continuing through to Christchurch, New Zealand’s most English-influenced city.